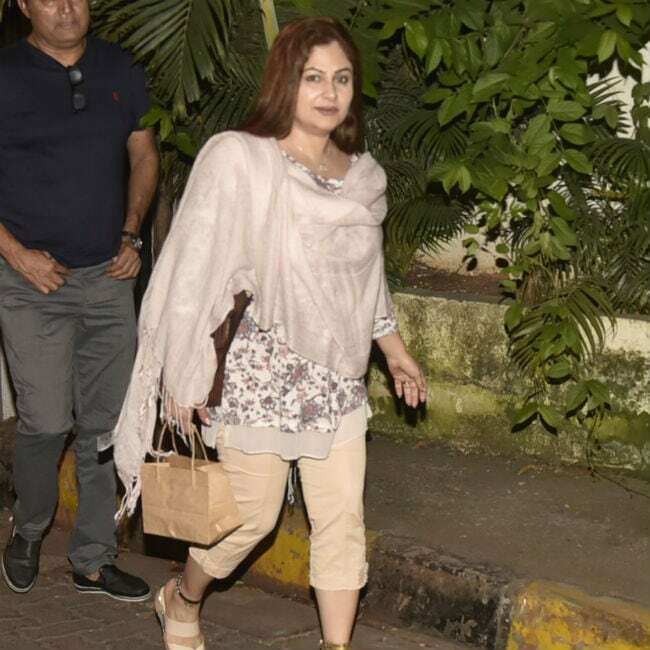 Remember actress Ayesha Jhulka, best-known for her role in Aamir Khan's 1992 hit film Jo Jeeta Wohi Sikandar? On Wednesday evening, the flashbulbs popped at Ayesha outside Arth restaurant in Mumbai (designed by Gauri Khan). She was pictured with some of her friends. Ayesha appeared to be in a hurry, but waved and smiled at the shutterbugs. 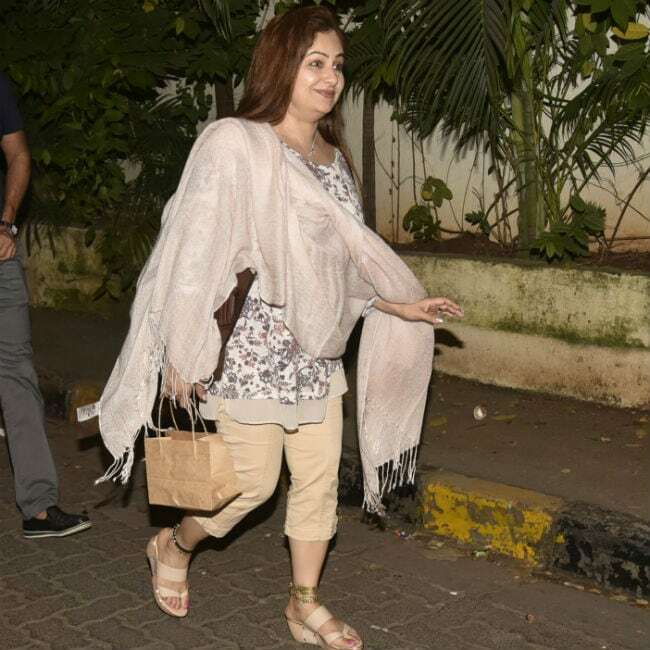 The 46-year-old actress was seen wearing a beige-coloured floral kurtawith matching trousers and dupatta. She teamed up her outfit with a pair of heels. Ayesha Jhulka debuted in Bollywood in 1983. She was last seen in this year'sGenius, starring Gadar: Ek Prem Katha's child artiste Utkarsh Sharma, Nawazuddin Siddiqui and Mithun Chakraborty. 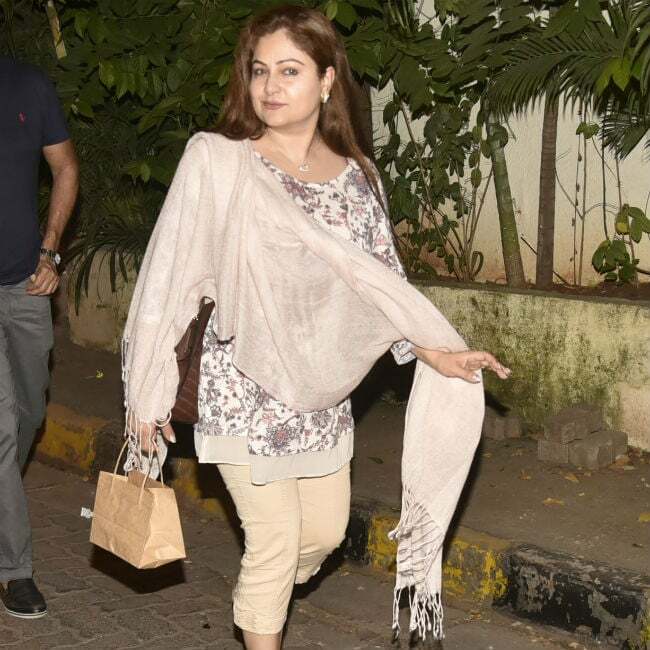 Here are pictures from Ayesha Jhulka's recent outing. 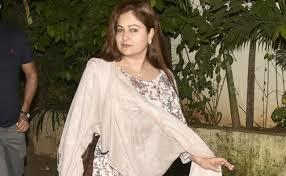 Ayesha Jhulka is married to Sameer Vashi. Apart from Jo Jeeta Wohi Sikandar, she has starred in successful films of the 90s, including Kurbaan, Khiladi, Meherbaan, Balmaa, Waqt Hamara Hai, Sangram, Jai Kishen and Masoom. Between 2000 to 2006, she made screen appearances in films like Shikaar, Run, Socha Na Tha and Umrao Jaan. 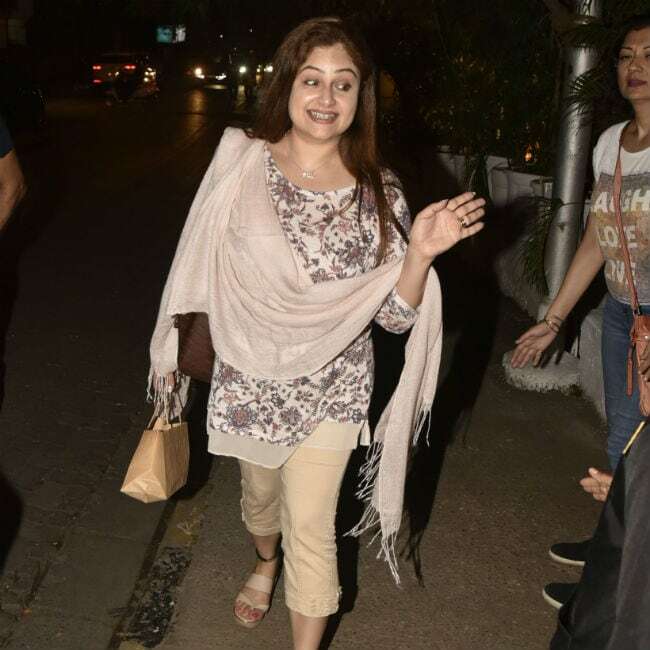 When Jo Jeeta Wohi Sikandar completed 25 years in May 2017, Ayesha Jhulka revealed that she was injured badly while filming the finale sequence. 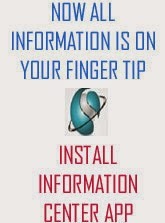 "It was bleeding a lot and the shooting was stopped. Everyone came running and Aamir was screaming and shouting at the spot boys to get ice. He put a big block of ice on the wound (on the forehead) and I could only see his expressions and people around," Ayesha told news agency IANS.